Chinese Premier Wen Jiabao pledged on Friday at a press conference that China is capable of launching a new stimulus package "at any time". 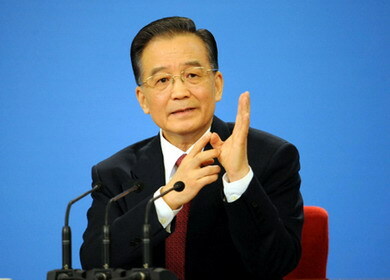 Premier Wen Jiabao said on March 13 it is "difficult" to achieve the country's 8 percent GDP growth goal for this year, but said it is still "achievable". Premier Wen Jiabao's assurance that extra stimulus plans are already in the pipeline should give a huge boost to the confidence of the world. Can China keep GDP growth above 8%? Is coupon a good idea? Louder voices from the capital market?